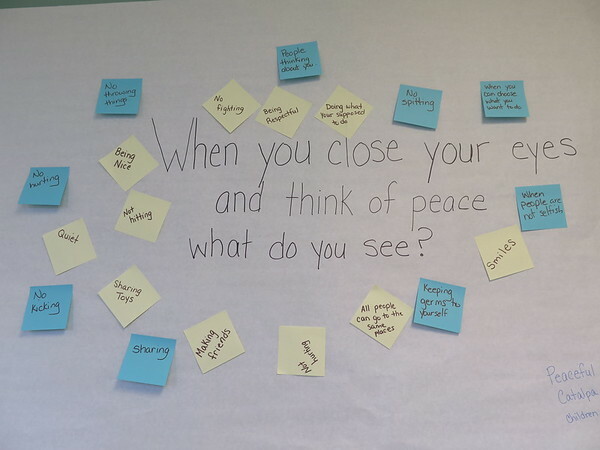 Insights and inspiration from our Montessori classrooms. Here is the MSGL team after presenting “Bringing Montessori Home” at the American Montessori Society national conference at the Sheraton Grand Hotel in Chicago, Illinois, on March 12, 2016. Pictured from the left: Executive Director Daphne Wiles, and teachers Emily Frazier, Kelly Sallee, Ana Ramirez, Lena Atkinson, Anita Trent, Dena Saunders, Machelle French, Heather Harvey, and Angenette Shamo. On Saturday, March 12th, ten MSGL teachers came together to present their original parent development event, "Bringing Montessori Home," to 150 teachers and administrators from around the country at the American Montessori Society's (AMS) Annual Conference in Chicago, Illinois. 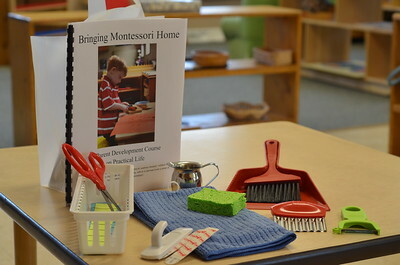 Bringing Montessori Home is a parent development course on practical life in the home. It was designed by the team to empower parents to create home environments that allow their children to be independent and successful in the activities of daily life, much as they are in their Montessori classrooms. The team worked throughout the year preparing the 90-minute presentation that took place on the last full day of the three-day conference. The presentation gave educators and administrators specific information for organizing this type of parent education event at their own schools. Many attendees were eager to praise the group's presentation not only for its content but also for the obvious bond between the staff members. When one audience member asked how the teachers worked together to present the various components of the program, one of the MSGL staff responded that they met one-on-one and also used Google docs to bring it all together. "Yes," the audience member responded, "but how did you get everyone to work together to make this happen?" It became apparent that ten teachers in matching blue shirts at the front of the room supporting each other and having a good time was, to some educators in the audience, a most impressive feat. Group hug! There were lots of good feelings at the culmination of a year's worth of work. When not presenting, the teachers attended workshops about Montessori philosophy, classroom management, child development, learning differences, school administration, and exciting presentations from all areas of the Montessori Toddler, Early Childhood and Elementary classrooms. Each day a different key note speaker was featured, including psychologist Mitchel Adler, lawyer and social justice advocate Bryan Stevenson, and poet Sarah Kay. The teachers also had time to shop in the vendor hall where they could see and touch the classic Montessori materials as well as supplemental materials. Each class received $180 from the Payless/Kroger Cares fundraiser that they could spend on materials at the conference. Several classrooms also received generous donations from families that they used to buy new materials. Dena and Lena with the giant pink tower at the Nienhuis booth. Everyone was thrilled to be chauffeured to the event by Epic Limo of Valparaiso, Indiana. Teacher Angie Shamo's brother Brian Sheely owns the transportation company and made sure the ladies had a safe and fun trip to and from Chicago in the party bus. Ana, Angie, and Kelly are ready to go on the party bus! A few of the teachers enjoyed presenting at the conference so much that they have submitted proposals for next year's national conference in San Diego. Good luck, Ladies! We were happy to see former Willow Class assistant teacher Jessica Flaherty when she visited from her new school in Indianapolis. With Lena Atkinson. Our school has had many special visitors lately. Teachers and parents from A Children’s Habitat Montessori School in Indianapolis toured campus and met with our staff last month. They described MSGL as “a model of excellence” and returned to Indianapolis with lots of ideas for increasing and updating their programs, classroom spaces, and administrative processes. Preprimary teachers Ana Ramirez and Melissa Valencia had their second classroom observation in February, as part of their Montessori Early Childhood practicum, and their field visitor was impressed not only by Ana’s and Melissa’s calm and kind demeanor in the classroom, but also by the large size of our “little” school. Visitors from A Children's Habitat Montessori visit with MSGL staff. Of course, we can’t overlook the important visitors who attended our February open houses. Dozens of new families were excited to tour the campus and register their children for classes in the fall. Seeing MSGL through the eyes of these visitors, I realize that there is nothing “little” about us. We serve 150 families in three buildings here on our five-acre campus and we staff seven different programs with approximately 30 full and part-time staff. We have programs for children ages 12 months to 12 years. We're not small at all, but we are close-like a family-thanks to the teachers, staff members, and parents who are willing to step in and help when and where they are needed. We have a history of hiring from within, so when experienced teachers retire or move away from the area we turn to the dedicated teachers we know and love to fill those spots. And many of those teachers started out as MSGL parents who signed up to work as volunteers and substitute teachers! Our accreditation by the American Montessori Society requires us to have trained and certified Montessori teachers leading our classrooms. So it is our vision to have a sustainable program with qualified teachers available at each level ready to lead if a teacher needs to step away from the classroom permanently or just for a few weeks. 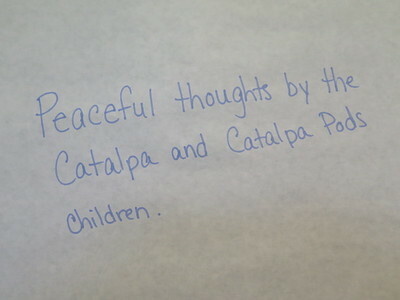 This winter we were grateful for this long-term vision when Mary McKay - a parent, board member, friend of the school, and Early Childhood teacher-in-training - stepped away from the Catalpa classroom. Veteran teacher Somdatta Datta Roy left her position as River Birch assistant to take on the leadership of Catalpa while also leading the 3-day afternoon Canoe Birch class. Spruce class assistant Ana Ramirez was happy to take Somdatta’s spot as Angie Shamo’s assistant in River Birch in addition to leading the Globe Willow Spanish class. And Melissa Valencia agreed to keep her position as Globe Willow assistant and also fill Ana’s spot in Spruce. Admittedly, our staffing arrangements can get complicated! But we always try to look within first to minimize disruptions in the classrooms and to maintain our high standards for a compassionate, well-trained staff that is in tune with our school culture. In addition to classroom changes, there is also a new face in the office. MSGL parent Amy VanHorn was hired to work in accounting in January when our long-time parent and bookkeeper Beth Nichols took a new position outside the school. Amy is the person to talk to when you have questions about your tuition statement. We can expect to see more new faces as MSGL grows during the coming school year. We will remodel the Elementary House this summer to add space for an Elementary II program (4th-6th grade.) We are adding a second Parent/Infant class which will take place on Tuesday mornings. Families of children ages 12-24 months can sign up for Tuesday morning, Friday morning, or both. Three-year-olds will have the opportunity to lunch with Machelle during Toddler Tea Time in the Spruce Toddler class. Other exciting new offerings are in the works, so stay tuned for those details next month. And thanks for being part of our growing family. As a preschooler, Shriya Samavai Manian appreciated spending her days surrounded by colorful, beautiful things in her classroom at MSGL. Now, twenty years later, she spends her days creating beautiful things for others. The West Lafayette native works as a photographer, writer, fashion designer, and DJ on New York’s Upper West Side. And that’s just her freelance work. After graduating from Columbia University in 2015, Shriya was hired by designer Ellen Van Dusen to assist her at Dusen Dusen, a womenswear and homegoods studio in Brooklyn. Being one-third of the team requires Shriya to participate in all aspects of the production of Dusen’s colorful and boldly-patterned fabric designs, which are manufactured in New York’s garment district. Shriya has always wanted to run her own business, which is evidenced by the number of entrepreneurship competitions in which she competed in high school and college. She placed in the top three at the Columbia Engineering Fast Pitch Contest, the Edens SmART Retail Challenge, and Purdue’s Entrepreneurship Academy. She understands that this wide variety of experience in New York’s fashion world is helping her organize her own design company. That point looms just around the corner for Shriya and her friend, Lauren Field, a senior at Barnard College. The duo is collaborating on a clothing line right now that should be ready for launch in April, called Studio Lucien. They both have a deep interest in art history and want to make clothes inspired by works of art. Their first project is a rain jacket with Japanese artist Katsushika Hokusai’s painting, “Under the Wave Off Kanagawa (Great Wave),” printed on the inside lining of the jacket. Studio Lucien's Hokusai Jacket coming out in April 2016. Shriya didn’t set out to be a fashion designer. She always presumed she would be an engineer. She graduated from West Lafayette High School in 2011 and moved to New York to study engineering at Columbia. While studying subjects planted firmly in the STEM department, she spent her free time going to museums, galleries, and concerts and hanging out with friends who were studying art history. When she began to visualize herself studying something besides engineering, she talked with her parents about changing her major to art history and business management. “Everybody in my family has done engineering. My brother did engineering at Purdue, my father is a professor of chemical engineering, my mom has a masters in engineering,” she said. But her parents could tell she wasn’t really happy or excited about what she was studying at Columbia and they encouraged her to follow her interests. “I just had to convince them that it (art history) was a real thing to study and a real thing to pursue after school,” she said. “Now, they are so supportive. Really supportive of my photography and writing and my design. I think they just had to come around to it because it was so new to them. Studying art isn’t common in India, and honestly it’s not a big field in the midwest, either,” she said. Shriya and her dad celebrate her 3rd birthday in the Toddler Room in 1996. In April, 2015, her parents’ doubt was erased for good when Shriya and Lauren won first place in Columbia Venture Competition’s Undergraduate Challenge with their idea of taking art history and translating it into clothing. They competed against six other teams in the final round and every other team’s project was based on science, medicine, or engineering. “We were stressed out because we thought nobody probably cared about this idea besides us,” she said. Winning first prize was a big confidence booster for the team and for Shriya personally. “It’s good to have that validation when you’re working with an idea and you’re not sure how other people will respond to it,” she said. The validation included a $25,000 prize that Shriya and Lauren tapped into to make Studio Lucien a reality. In most start-up business ventures, inexperience is considered a liability, but Shriya credits her lack of design experience with keeping her mind open to creative - and now successful - ideas. “It’s nice when you don’t know what you’re doing because you’re willing to try anything,” she said. Shriya attended MSGL toddler and preprimary classes in the late 1990’s. Although she left before her Kindergarten year, she has memories of the time she spent here. Shriya celebrates her 4th birthday in Maureen Northacker's class at MSGL in 1997. Accurately self-described as “having more than one thing happening,” Shriya is simultaneously working on a separate clothing line set to launch in late 2016 or 2017. It is a line of unisex outerwear that she describes as “really nice jackets that are made for anyone of any gender.” Shriya enjoys the many creative directions her life is spinning off into right now, and she plans to continue her design work in the foreseeable future. playground at Morton Community Center in approx. 1997. Best wishes from all of your old friends at MSGL, Shriya! We can’t wait to see what you do next. This post is part of a series "I Am MSGL" featuring alumni of the Montessori School of Greater Lafayette. If you or someone you know would like to be featured in this series, please contact me at heather@msgl.org. "Jeopardy!" host Alex Trebek with Carissa Pekny during the 2016 College Championships. Photo courtesy Jeopardy Productions, Inc.
Montessori School of Greater Lafayette (MSGL) alumna Carissa Pekny appeared this week on the “Jeopardy! 2016 College Championship.” A senior studying environmental science at the U.S. Military Academy at West Point, Carissa was one of 15 contestants competing this week on the TV game show for a chance at a $100,000 prize. Carissa graduated from second grade at MSGL in 2002. Carissa almost didn’t take the call the day an unknown number from Culver City, California showed up on her phone. She gets a lot of phone solicitations and was going to ignore it, but she answered and heard, “Hi, this is Amy from ‘Jeopardy!’” That call was the end of a two-month process that started with an online test in November. Approximately 3,000 students took the online test and Carissa was one of the few who moved on to the regional audition. “They tell you (at the regional audition) that if you get a call in a few weeks, you will be on the show. If you don’t get a call and you don’t see yourself on the “Jeopardy! College Championship” episode in February, you’ll know you didn’t make it,” she said. Carissa did make it to the show and she took her parents Joe and Chris, her sister Chelsea, and a West Point friend along to Universal Studios when the show was filmed over two days in January. There were fourteen other contestants and they filmed five tournament episodes each day. She described the “Jeopardy!” studio as being much different than she expected. “You watch them on TV and think the studio is massive, but the studio is actually really small. There is room for maybe 100 people in the audience,” she said. Carissa has always liked trivia and she and her mom would compete against each other while watching the TV show at home. “Jeopardy has been my mom’s dream, too,” she said. “When I called to tell her, I said, ‘Wow, you didn’t even act this happy when I called you a month ago!’” she said. Carissa started out strong in the first round of the quarterfinals on Monday answering questions about science, history, and popular music, but ultimately it was Emily Sun, a freshman from Columbia University, who advanced to the semi-finals. Carissa said she was a little nervous at first, but her experience as an athlete helped her concentrate on the task at hand. "Just like any sports game, I was able to focus my nervous energy into focusing on answering the questions and buzzing in on the buzzer," she said. Carissa’s natural curiosity might be at the heart of her love for trivia. She discovered an affinity for research when she was in Marshall Overley’s chemistry class at West Lafayette High School. After graduating in 2012, she moved on to West Point where she started doing malaria research in her sophomore year. That interest led her to spend 3 ½ weeks in Australia working at the Australian Army Malaria Institute. “This was a way to do things that I liked doing that had implications for medical research,” Carissa said. Carissa Pekny, second from left, during Ring Weekend at West Point. She plans to continue in the field of medical research next year as she begins medical school at the Uniformed Services University of the Health Sciences in Bethesda, Maryland. In high school, Carissa was an accomplished athlete who played on the WLHS soccer, basketball, and softball teams. When she arrived at West Point in July of 2012 for Beast Barracks, West Point’s Cadet Basic Training, she thought she was physically fit but discovered she wasn’t really prepared for that level of physical conditioning. “I’m not much for quitting things so I decided to stick it out until the school year and not do anything too brash,” she said. That decision paid off when it became clear that even though she may not have been physically prepared for basic training, she was academically prepared for a challenging course load. On top of becoming a Second Lieutenant in the U.S. Army, every West Point graduate receives a Bachelors of Science degree, no matter what their major, because of the required core of math and science classes. Carissa Pekny playing rugby for the U.S. Military Academy at West Point. Photo courtesy of West Point. “It is rough on the body. I think I’m gonna miss it a lot because my teammates are my best friends here,” she said. Carissa Pekny pulls a friend on a sled at Morton Community Center in 2000. 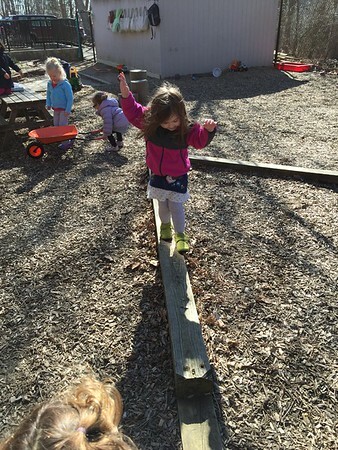 When asked what she remembers about her five years at the Montessori School of Greater Lafayette, she recalled her kindergarten year, when the school was located in the Morton Community Center near Purdue’s campus. “I remember Kindergarten with (teacher) Ginny Meyer pretty well. We used to do this Thanksgiving feast and all the parents used to come and have a feast with us. That was pretty cool,” she said. Carissa said Meyer had another lasting impact on her life by always making time to listen to her read and making sure she understood what she was reading. “I always really loved to read. Having teachers that cultivated that skill and made sure that I understood the words I was reading has benefited the rest of my academic career,” she said. 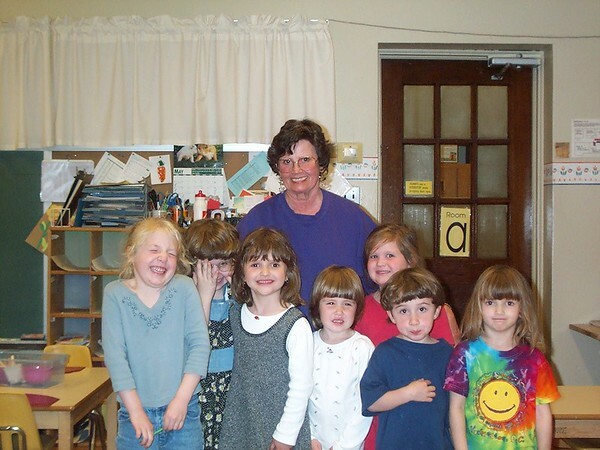 In 2000, she attended the Montessori Elementary I class with teachers Linda Bolam and Jeff All. She also appreciated being able to choose her activities from around the room. Carissa Pekny, in blue, looks on as Jeff All and a friend play for the MSGL Kindergarten class in 2000. One specific subject she remembers learning about at MSGL is the history of the U. S. Presidents. Carissa’s parents were involved in the MSGL school board and helped with the transition from the Morton Center to the current campus on Soldiers Home Road. Her siblings were also MSGL alumni. Her brother, Andrew, now works for an accounting firm in Indianapolis and her sister, Chelsea, works as a pharmacist in Kenya. Carissa is open to where her life after West Point and medical school might take her. This is the first post in the series "I Am MSGL" featuring alumni of the Montessori School of Greater Lafayette. If you or someone you know would like to be featured in this series, please email me at heather@msgl.org. Please join us for these upcoming parent development events! Come together with other parents for coffee and friendly conversation. This month's topic is how to use basic Montessori principles at home to resolve and even avoid conflicts with your children by fostering their independence. Heather Harvey is the presenter. Please REGISTER HERE or in the office. You are your child’s first and most influential teacher.You set the tone for your child's love of learning from the very start and it is you who bridges the gap between school and home. 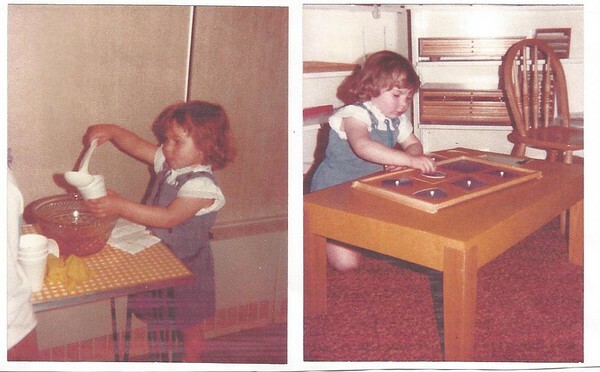 But how do you begin to create a “Montessori” environment in your home? We can help! Soon your child will be pouring his own juice, chopping his own vegetables, and cleaning up his spills while you marvel at the confident and independent individual he has become! This event is open to the public but registration is required and limited to the first 40 families to sign up. There is a $20 supply fee per family for the take-home materials.There will be NO CHILDCARE offered for this adults-only event. Please register today online. Deadline to register is January 20th. REGISTER HERE or in the office. Has the mess got you stressed? There are alternatives to nagging your children to clean up. Cooper the cat doesn't mind the post-holiday mess. Is your house a mess? Mine is. Even though my youngest daughter is 20 years old, my post-Christmas house looks no different than it did 15 years ago when she and her sister had lots of toys. Now, we no longer have Barbie dolls and Lego pieces lying about, but we have plenty of grown-up projects waiting to be finished over our remaining vacation days. Sorting through all of this stuff today got me thinking about how difficult it can be to share space with others without resenting the mess those "others" leave behind. I want my daughters to be able to work together on the puzzle they picked out, and I'm happy they still (mostly) enjoy each other's company, but I don't want the puzzle to still be on the kitchen table next week. Now that my girls are grown up they are able to respect and care for the spaces we all share. I know that puzzle will be put away before I have to ask, but when they were little it was a different story. I was constantly nagging them to clean up. And the need to nag them really frustrated me. Perhaps you can relate? 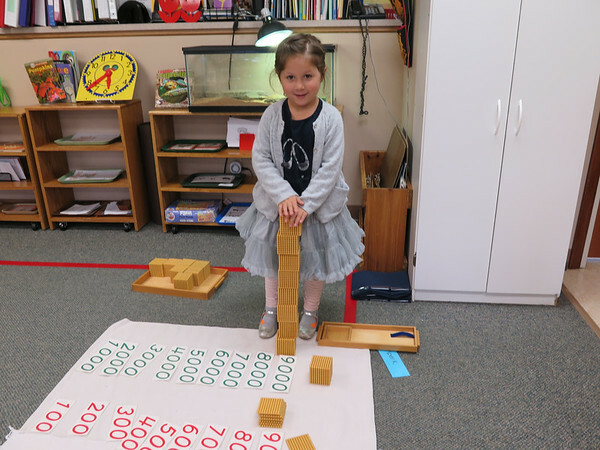 The most common question parents have after observing their children in our Montessori classrooms is, "I see she puts everything away when she's done using it at school. Why doesn't she do that at home?" Children put their work away in a Montessori classroom because everything in the classroom is designed to make that an easy thing to do. For example, lockers are child-sized so the children don't need help hanging up their coats. The daily schedule is consistent, so the children are not surprised when it's time to put their work away. And, when a child's work is very important to her and she cannot finish it all today, she puts her name tag on it to remind everyone that she will be working on it first thing tomorrow morning. Also, the guidelines for the classroom are the same every day and everyone follows them (eventually) so cleaning up is just a normal part of the day. A nametag on a child's unfinished activity shows ownership and that the child's work is valued. If you would like to learn how to use these and other Montessori practices at home, please join us for the upcoming "Bringing Montessori Home Parent Development Course on Practical Life" on Wednesday, January 27th from 6 to 8pm. This event is open to the public so you can invite your friends and you can follow the link above to sign up online. Learn how to improve household organization by creating child-friendly spaces and nurturing your child's independence in the areas of self-care and food preparation. In the meantime, check out these articles that offer alternatives to nagging kids to clean up. In "Here's an Idea...Don't Clean Up!" Rachel Cedar invites us to look at a child's play as his work, much as we do in our classrooms. In "Why I Stopped Asking My Kids to Clean Up," this mom describes what happened when she stopped resenting clean-up time and allowed her kids to follow her lead. Finally, Sandra Gordon offers sound advice for teaching children to take on different household tasks based on their age and level of ability in this post for The Children's Trust. Do you have ideas to share about living with and cleaning up after your family? Please share them in the comments below! 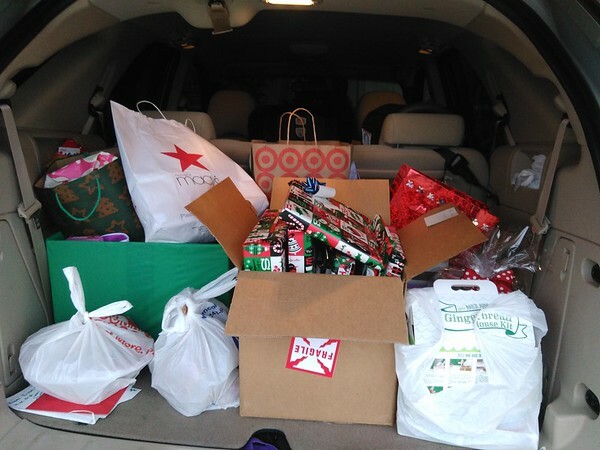 A car full of goodies is ready to be delivered to a local family sponsored by MSGL families. A Lafayette mom got a big surprise Thursday night when Montessori School of Greater Lafayette (MSGL) teacher, Kelly Sallee, and her husband Randy delivered a car full of holiday cheer to her front door. Evelyn (not her real name), a 33-year-old mother of four who was recently diagnosed with cancer, knew the Sallees were bringing dinner and a few surprises for her older children, but she wasn't expecting armfuls of gifts and personal items for her 10-month-old baby, her husband, and even herself. "She knew nothing about this," Sallee said of the mom's reaction. "She said she feels so grateful and blessed." After being diagnosed with cancer in the fall and going through two surgeries, Evelyn worried that she and her husband would not be able to give their children a happy Christmas. Her husband works full-time and also helps her get to her treatments in Indianapolis every week. The travel expense and taking time away from work has made it difficult for the family to pay their rent and other bills, so Christmas presents were out of the question. When Evelyn reached out to local assistance groups in early December, she learned she had missed the deadline to apply. So she turned to a local Facebook group to see if anyone knew of an organization that could help her give her children just a little something to look forward to on Christmas morning, and that's where Kelly found her. A basket of items just for mom. "I called two local agencies to see if they knew of a family that my family could sponsor for the holidays but they didn't respond," Kelly said. "So I thought, I'm going to go find my own family." When she saw Evelyn's post on Facebook, she sent her a message and they started talking. Kelly was moved by the young mom's situation and decided this was a family that could really use some help. When she shared the young family's story with the families of her Willow preprimary class at MSGL, they were eager to help. Teachers and families from other classes and Kelly's mom and sister also joined in, and that's when the fun really started. Taylor and Kelly preparing to wrap packages. "I am so overwhelmed with the great response," Kelly said. "I received so many gift cards in my mailbox and there were new items in the collection box every day. I am thankful for the classroom families and teachers who have contributed to this cause." The box Kelly put in the hallway to collect items for the children was soon overflowing and the items had to be stored in the school's conference room. Although Evelyn was only hoping to have a few items for her 6, 8, and 11-year-old children, the outpouring of love from the MSGL community included items for the baby, a gift card for dad, and a basket filled with lotion, fuzzy socks, and candles to pamper mom. The family also received gift cards for gas to help with driving back and forth to Indianapolis for Evelyn's treatments. Classroom parents and Kelly's mother and sister wrapped all of the gifts and made stockings personalized with each child's name. 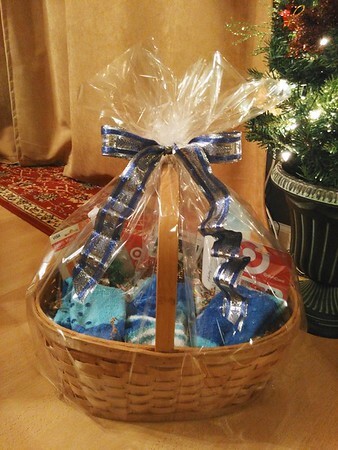 MSGL families sponsored a local family that could use a little extra love this year. 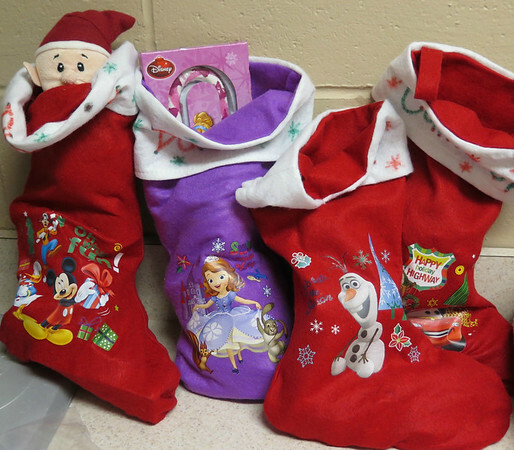 The family celebrates Christmas, so families donated gifts and stockings. On Thursday, Kelly and Randy packed up the gifts, picked up pizzas for the family's dinner, and delivered them to their home. The children had to stay in their rooms until everything was hidden because mom and dad want the gifts to be a surprise on Christmas morning. Evelyn had just returned from having a port implanted for chemotherapy that day and was not feeling well, but she thanked the Sallees over and over again for everything they had done. She was especially touched by the handmade cards made by the MSGL children. Cards made by the children of Willow class. 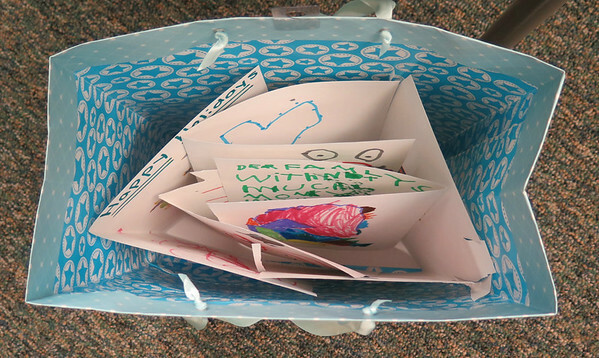 "She said she was surprised that the kids had made the cards just for them," Kelly said. "And she hung them up with all of her other Christmas cards." Kelly hopes the MSGL family can reach out to a local family again next year and she intends to start planning in the fall. "Not only did it bring so much joy to my family and myself to be able to help this sweet family this holiday season, but it was equally priceless to see how well-received this endeavor was at Montessori. I signed one of the cards on behalf of the school so that the family knew our community came together to make a magical morning for this very deserving family." 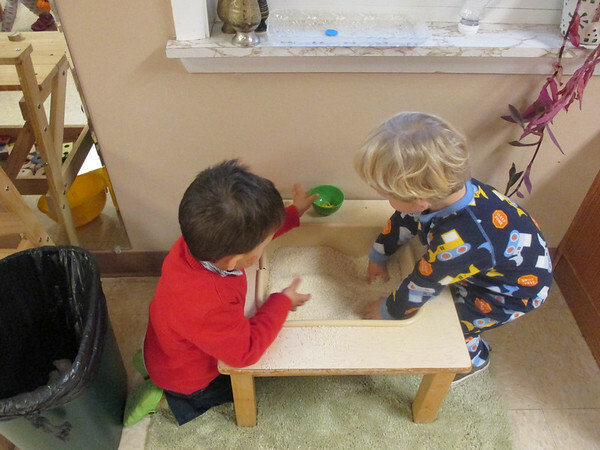 Have you ever wished you could experience Montessori through a child's eyes? We would like to offer you the next best thing. Please join us on Wednesday, September 23rd from 6:00 - 8:00 pm on the MSGL campus for the Montessori Silent Journey and Discovery. This is your opportunity to see the classrooms as your children do and to use the same materials they use to develop their bodies, minds, and spirits. 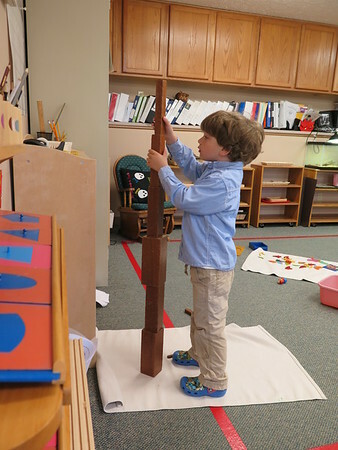 The Montessori Silent Journey and Discovery will take you on two guided tours of the school, starting as an infant and progressing through the Toddler, Preprimary, Extended Day, and Elementary classes. The first tour is silent. Your tour group will spend 3 minutes in each room looking at - but not touching - the classroom environment and the various materials. After the first tour, your guide will once again take you to each of the classrooms, but this tour will be the Discovery portion when you can use the materials, ask questions of the guides and teachers, and take part in the teachers' presentations. We will wrap up the Montessori Silent Journey and Discovery by gathering together for refreshments and discussion afterwards. We are very excited to offer this parent education event and we highly recommend it for all new families and anyone who would like a hands-on experience in our Montessori classrooms. This is also a nice tour for grandparents and caregivers. 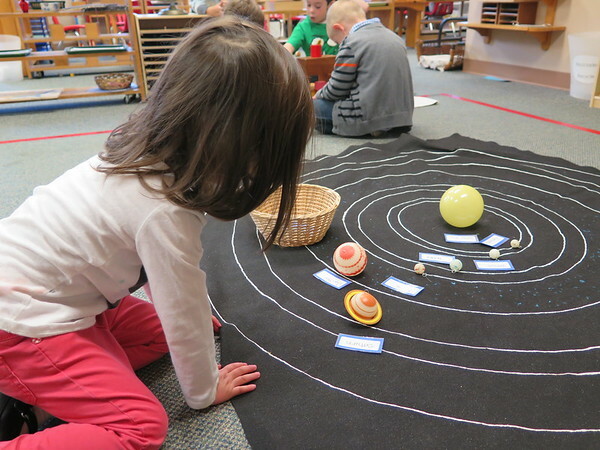 You can read about one parent's experience with a Montessori Silent Journey and Discovery on the I Heart Montessori blog. Please register for this fun event in the office or by phone by this Friday, September 18th. Suman Harshvardhan, Executive Director of the Montessori School of Greater Lafayette (MSGL) since 1999, is stepping down in October. Suman was hired as an assistant teacher in 1989 and she worked as lead teacher for the Toddler and Parent-Infant programs from 1990 - 2012. During Suman’s 16 years as Executive Director, the school added several new preprimary programs, expanded to include lower and upper elementary programs, and moved from the Morton Community Center to its current campus on Soldiers Home Road. Board Member Hilary Cooke said, “We are sad to see Suman leave this position, although we are whole-heartedly grateful for her many years of loyal service to MSGL and this community. We also know that Suman will continue to remain connected to MSGL.” Suman looks forward to spending more time with her children and their families. The MSGL Board has formed a search and hiring committee. Interested applicants should contact search.committee@msgl.org. "I think I can, I think I can, I think I can" said the little blue engine as she chugged faster and faster to the top of the mountain. And she could, of course. She did. The little blue engine saved the day by successfully pulling the stranded train full of good things for girls and boys over the mountain and into the valley where the children lay sleeping. Watty Piper's The Little Engine That Could, published in 1930, was my favorite picture book as a child and the little blue engine my favorite heroine. Sure, she was kind and a lovely shade of blue, but more importantly she was a strong female character. She was useful! She did important stuff that helped children! And she did it at the end of a long day even after all of the self-important macho engines said, "I pull the likes of you? Indeed not." It never occured to me until preparing this post, that The Little Engine That Could, which was read to me over and over again - as many times as I wanted, by my devoted babysitter Arnetha Trent - might have been key to the formation of my beliefs about society. Perhaps it was this determined little engine that opened my eyes to the truth that not everyone wants what's best for children. After all, if three out of four engines are not willing to pull a train filled with fresh milk, veggies, toys, and candy (just enough for an after-dinner treat, mind you) over the mountain to the children in the valley? Something's not right in the world. Four-year-old girls notice things like that. I use this newly discovered self-knowledge as a metaphor because our school, the Montessori School of Greater Lafayette (MSGL), has been called by some, "The Little School That Could." We are small and we operate on a tight budget, but do a lot with what we have. We offer 10 different programs for over 200 children, ages one to nine years, and we make it all happen in seven classrooms on our five-acre campus. 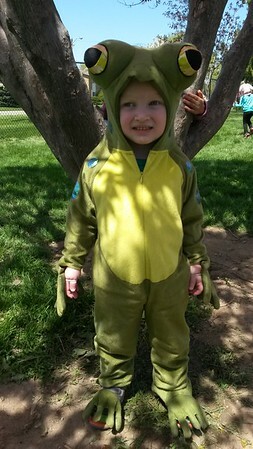 We are a non-profit, parent-owned school which means when something needs to be done, whether it's adding an elementary program or building a new sand box, the families and staff work together to make it happen. This willingness to collaborate and create the best possible environment for children is the source of our strength. It's why we are known as the scrappy little school that's brought respect, independence, and a love of learning to the girls and boys of the Wabash Valley for over 42 years. So, it's been a big week and we are pleased with the school's good work. We are excited that others in the Montessori community appreciate that good things can come in small, scrappy packages. But I can't say we are surprised by the news. Just like my favorite little blue engine, we always thought we could. It's Teacher Appreciation Week and it's the perfect time to give a shout out to the Montessori School of Greater Lafayette's amazing teaching staff. Our teachers come from all over the world and from many different backgrounds, bringing their experiences, understanding, and love of children to share with our Montessori families. Did you know that West Lafayette is the most culturally diverse city in the Midwest? This is largely due to the population of Purdue University which is ranked 2nd in the nation for total international student enrollment. Since over 60% of our families have a connection to Purdue either as staff or students, it's not surprising that MSGL's teaching staff is also diverse. One way we measure this diversity is with a tally of languages spoken by the staff. Over 26% of the staff speaks English and a second language fluently. And 10% of staff members are trilingual, allowing MSGL to offer students daily exposure to Spanish, Russian, and Korean language and culture. Here is a breakdown of staff languages. The teachers' love for their work shows in the number of years they have been with the school and their eagerness to enroll their own children here. Over half of our staff members have been with the school for over 10 years. And 61% of the staff currently have children enrolled at MSGL, are parents of MSGL alumni, or are MSGL alumni themselves. Some of our teachers came to Montessori after studying education. Many others followed their children here before deciding to become a teacher with backgrounds including art history, biology, interior design, psychology, anthropology, nursing, journalism, medieval studies, philosophy, history, and chemistry. However they discovered Montessori, we are grateful they found us and chose to stay. Here is a look at these hard-working ladies over the past year. We salute you, beautiful ladies of MSGL! Thank you for bringing your dedication, your love of children, and your sense of humor with you each and every day. "My heart is biggest but I like your heart, too. "I can run faster than any human." ​"Is it cake pop day?" "I will share with you." "Look what I've got! Shorts!! Underneath my pants!!!" "There's no more blocks missing like sometimes...like sometimes I probably stole them." "I need to sit. I'm tired of standing up." Child 1: "We are going to play outside for 100 minutes." Child 2: "100 minutes isn't even a thing!" "We ALL have zippers on our fleeces." "If you want to be a scientist, listen to me!" Child 1: "My brother is 100." Child 2: "Brothers can't be 100. Dads can be 100." "My dad is 14 years old. Maybe even more." Child 1: "God is dead." Child 2: "No he's not." Child 1: "Yes he is. He died." Child 2: "God has 10 lives and when he dies he comes back to life, right?" 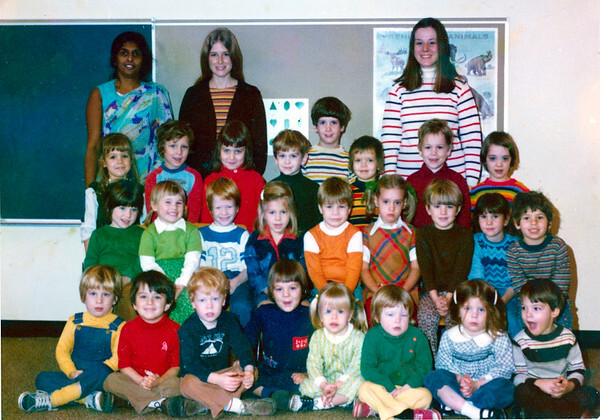 These class photos from 1973 and 1974 were recently shared by Jan Dilley who, along with Jan Knote, is a founding mother of the Montessori School of Greater Lafayette. 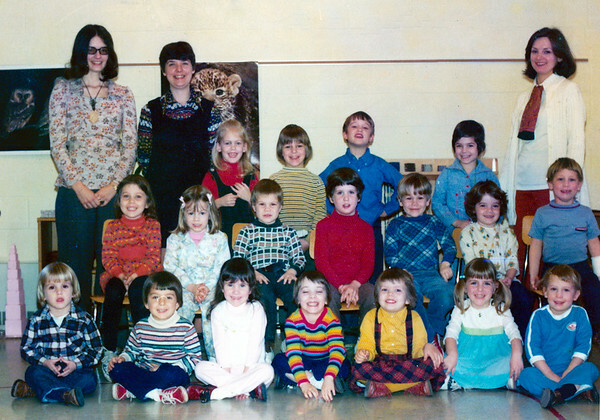 MSGL opened in 1972 with one preprimary class. Unfortunately we are unable to find a class photo from that first year. These two photos represent the second and third years that MSGL was in operation inside the Temple Israel in West Lafayette. Do you know anyone in these photos? We would love to hear from you in the comments section. We are pleased to announce that our two-year re-accreditation process with the American Montessori Society (AMS) is finally behind us and MSGL performed very well. Although our re-accreditation will not be officially announced until later this summer, all indications are that we met or exceeded the standards. Those standards include the areas of: Vision and Purpose, Leadership and Governance, Teaching and Learning, Documenting and Using Results, Personnel, Facility Resources, Records and Support Systems, Stakeholder Communication and Relationships, and Commitment to Continuous Improvement. The AMS onsite team arrived on Sunday, March 29th. Members included Brenda Huth, Ft. Wayne, Indiana; Micah Earle, Chantilly, VA; Laura Bowen-Pope, Woodinville, WA; and Heather Gerheim-Gladden, Brecksville, OH. The team toured the school and conducted interviews with the administrative staff, current and alumni parents, and the MSGL Board. We are so grateful to the parents who took time Sunday afternoon to share stories of their experiences with our school. Thank you to Tiina Jaagosild, Melissa Law-Penrose, Melissa Fraterrigo, Ginette Roos, Janet Lee, Genevieve Wang, Tony Harvey, and Gretchen Freese. We were especially honored that MSGL’s founders, Jan Dilley and Jan Knote, shared their stories of how they started MSGL back in 1971. “The Two Jan’s,” as they are affectionately called, are very proud of the continued success of the little school that grew out of their dreams and the dreams of the eight families who initially pooled their resources to open its doors in 1972. MSGL alumni parents Mary and Dwight McKay hosted a welcome dinner Sunday evening in their home for the board, staff, and visiting team. The evening was the perfect opportunity for the team to see how important MSGL is to our community and for us to learn about the hometowns and Montessori schools of the four team members. Monday and Tuesday allowed little time for socializing as the team was busy observing classrooms, interviewing teachers, and reviewing documents. Some of our families provided homemade goodies for the team to snack on during the day. Thank you to Amy VanHorn, Joni Lane, and Abby Christiansen for the treats! In the evenings, the team wrote up reports about all they had learned during the day. On Wednesday morning, the team presented its exit report to the steering committee. The report was comprised of commendations and recommendations for the continued excellence and growth of the school. The team was moved by the level of parent involvement and the joy shown by the MSGL children. Team chair Brenda Huth praised the teachers for their willingness to “wear many hats” and work where they are needed. Lena Atkinson was also commended for her work in preparing all of the school’s documents so they could be accessible online. Lena’s work made this the most organized onsite visit the team has ever experienced and they hope she will share her ideas at the 2016 AMS National Conference in Chicago. Angie Shamo and Anita Trent discuss spring plans for the Oak Room Garden. The AMS re-accreditation process takes place every seven years. When completed, families can be assured that the school operates according to the high expectations set by this national organization. We are currently one of only five Montessori schools in all of Indiana that are accredited. We could not have completed this process without the help of the staff and families who have worked for the past two years preparing themselves and the campus for this visit. Have you helped inventory library books or helped mend classroom materials? Have you shoveled mulch and washed windows at parent workdays? Have you swept sidewalks and helped maintain the buildings on your days off? Have you made donations to our classrooms or scholarship fund? You are one of the generous MSGL family members who continue to make this a great little family-run school. MSGL can’t happen without all of you. Thank you for the love and support you show MSGL. We look forward to seeing what the next seven years will bring. Here are some very familiar faces from around 2000. They are posing with Miss Terri, former ADP assistant teacher in classroom A at the Morton Community Center. Hands are not for hurting, but sometimes they still do. February in Indiana is tough. It’s 28 days of Arctic cold, howling winds, and brown slush everywhere you turn. The air hurts your skin and the gray sky steals your hope. Do you know why February is only 28 days long? Because no one would survive if it lasted even one day longer. February is the Chuck Norris of our calendar year. I think February brings out the worst in everyone, even the sweet little children at the Montessori school. So it's often in February when I remind myself that the primary purpose of preschool is socialization. Sure, our Montessori classrooms have these beautiful materials and teachers trained to present them, but our primary goal is for each child to develop naturally into a well-rounded and well-adjusted individual. And for that to happen, each child must learn many, many social skills. Here’s a partial list. Lucky for me, blog inches are cheap! How to talk to others. How to respond to positive events. How to respond to negative events. How to move gracefully across the room. How to walk peacefully in a hallway filled with people. How to be part of a group. How to speak in front of a group. How to listen as part of a group. How to choose an activity. How to clean up and put away. How to sit next to a friend. How to ask for help. How to ask to share. How to say “No, thank you” to sharing. How to say “I’m sorry” and mean it. How to stick up for yourself. How to be worthy of respect. Preschoolers do all of this really challenging work surrounded by 23 other children who are all trying to do exactly the same thing. (Twice that many, if enrolled for a full day.) Preschool can be very hard work! Sometimes a child will do something inappropriate to another child and a well-meaning parent will ask me, “Did you tell them not to do that?” Of course. Every day our teachers remind children that hands are not for hurting and to use their words. But listening is not the way young children learn morals and social skills. (Although it IS the way they learn language.) Preschoolers learn by doing and that means that sometimes - lots of times, actually - they do inappropriate things. And gradually, they learn from them. So, since young children are not born knowing the difference between appropriate and inappropriate behavior, and they can’t simply follow our instructions, the grown-ups have to give them lots of opportunities to figure it out with other children. We must provide them with an environment that allows them to safely - with close supervision - make many, many bad decisions. In our preschool classrooms, the teachers expect inappropriate behaviors and respond to them consistently with each occurrence, knowing that they will lessen over time. A child’s “bad” behavior might keep us on our toes, but it rarely surprises us. And thank goodness for that! Imagine if doctors were shocked to see so many sick patients every day. Or if plumbers were bewildered by clogged pipes. Or firefighters were stymied when houses caught fire. They would not be very effective at their jobs. In order to be effective at my job as a teacher in a Montessori classroom of three to six-year-olds, I have to first: like children, and second: understand that all of the terrible things that children can do to each other are not failings, but simply a natural part of their development. A child who hits or bites or kicks is showing me that she is upset about something and has not yet learned to respond without hurting. It’s my job to help her develop a new, appropriate response while doing my best to keep the other children safe. I admit that my best isn’t always enough. And it’s not easy to watch these children suffer through the process of dealing with separation anxiety, or a friend’s harsh words, or simple frustration at being unable to dress themselves. I love the children in my care and it hurts to watch them hurt themselves or others when their anger literally comes out of their fingers and toes. Recently, I was sitting next to two children who had been playing very actively all morning. I will call them Danny and Sandy. They were having trouble working together but they just couldn’t stand to be away from each other. They are each learning how to be friends with someone who drives them a little bit crazy. I stayed close to them so I could intervene and help them resolve the issues that were bound to arise when things got out of hand. At group time the children got to talking about which animals they liked the most. Danny laughed and said, “My favorite kind of animal is Sandy.” I turned to them just as Sandy pulled back her arm and punched Danny squarely in the face. Danny was really surprised. He thought maybe he was hurt for just a moment, but quickly regained his composure. “I was just saying it to myself,” he said. “Well, I'm pretty sure she heard you," I responded. Having made herself clear already, Sandy had nothing to add. Did Danny deserve to be hit? No. But he did need to know that Sandy didn’t like the way he treated her. Should Sandy have hit him? No. But she did need to let him know that it wasn’t okay to call her a name. Did either of them “get in trouble” by me? No. We talked about other possible responses and there was no more name-calling or punching that morning. But it’s not over. I will keep those two on my “Watch List” for the rest of the year and when I hear their voices get loud or see them chasing each other I will do my best to be right there to help them work through their next disagreement. That’s my job. Not to punish or shame children, but to help them learn to express themselves and to be good listeners and… ah, just refer to the previous bulleted list. I have read about preschools with zero tolerance policies for hitting and biting. My question is always, "Where will they send all of those children?" If a 4-year-old is banned from preschool because she has not yet learned to get along with others, what’s next for her? Reform school? Prison? Dr. Phil? 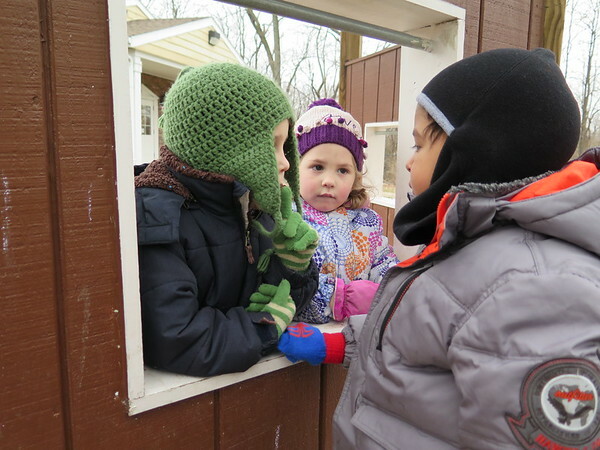 Preschool is THE BEST place for young children to learn how to get along with others. Sometimes it’s tense, sweaty, gritty, even frightening work. But the mis-steps children make in preschool prepare them for a future that is much less secure. A time when they won’t be surrounded by loving adults waiting to step in and guide them to resolve problems peacefully. A time when using hands to hurt can have lifelong consequences. Please try to be patient with your children and other people's children as we all wait for the Earth to travel just a little further around the Sun. 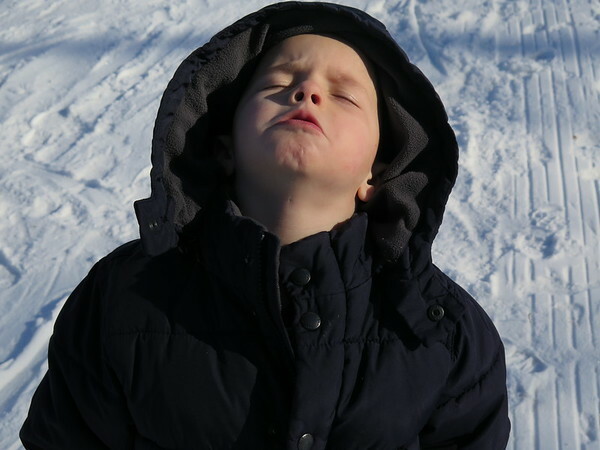 February will become March, winter will become spring, and children who are not yet peaceful will develop a little more self-control and gradually, gracefully learn to cope with the many frustrations of being a small child. 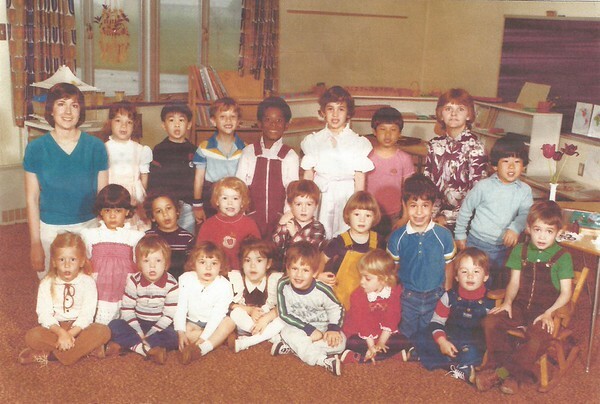 This is the oldest available photo from the Montessori School of Greater Lafayette. Notes on the photo list some of the names. 1st Row: Cristy Belz, Andruzca Rukhin?, Cristy Welch, Jensen Douglas, Ben Pealman, Gretchen Behnke, A.J. Marks, J.P. Rowe, Rolf Friedlaender. 2nd Row: Ila Ela, Luke Murphy, Sara Williams, Cristopher Armstrong, Catherine ?, Yoshi Furata. 3rd Row: MaryBeth Meyer, Niki Plante, Tony Hwang, David Bluestein, Kwesi Coleman, Nina Garza. If you know more about these photos, please comment and share. 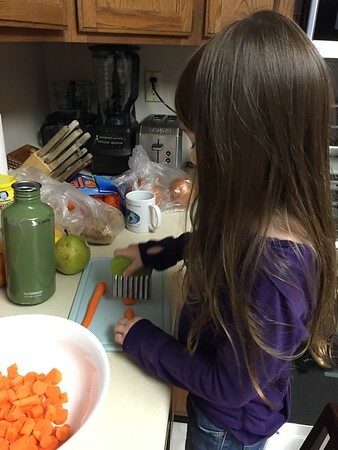 An MSGL preprimary student prepares carrots at home using a chopper and cutting board of her own. Dozens of MSGL students are enjoying increased independence at home thanks to the “Bringing Montessori Home” parent development night held January 21, 2015. Thirty parents and grandparents attended the 1 ½ hour event that offered live demonstrations of Montessori-inspired activities children can do at home as well as hands-on activities, and an introduction to the Montessori philosophy. Small groups of parents rotated through three different classrooms to observe and take part in presentations. Dena Saunders and Emily Frazier presented Care of Self and Care of the Environment. Getting dressed, caring for plants and pets, and cleaning up spills were some of the topics covered. Dena elicited “oohs and aahs” from one group when she demonstrated how to use masking tape to make a square on the floor so a child can easily sweep spills into a dust pan. Angie Shamo and Machelle French demonstrated how to put together a few simple art activities on a shelf at home for when a child wants to work creatively and independently. 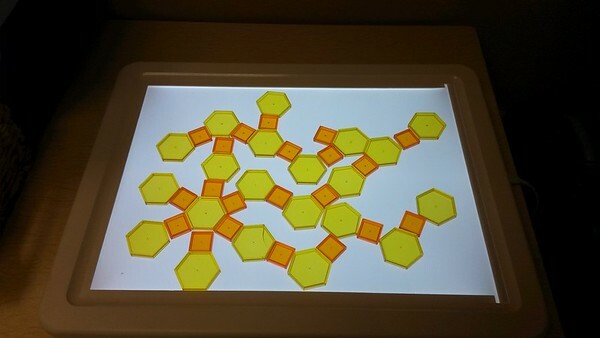 The cutting strips, which consist of thin, sturdy paper strips on a tray with a pair of scissors, allow the child to practice cutting safely and successfully. Another suggestion was to offer just three colors of watercolor paints at a time - in the beginning - so a child can successfully create a painting without all of the colors mixing into brown. Families were also given the school’s popular recipe for making play dough at home. After the presentations, many parents said they were excited to try these activities at home with their children. They also felt that some of the things their children were already doing at home, such as preparing a salad and feeding the fish, meshed nicely with the Montessori philosophy. Each family received a selection of child-sized items to use at home. Each family in attendance received a materials bag containing a child-sized vegetable peeler and chopper, a small pitcher, a dust pan set, cutting strips and scissors, child-sized sponge and towel, and a hook to hang the child’s coat or book bag at a level where she can reach it. Families also received a custom-made photo book - created by the teachers - that reviews materials covered in the presentations as well as offering additional ideas and resources. Materials bags and books are still available for purchase in the office for $10. Thank you to everyone who attended! MSGL plans to offer “Bringing Montessori Home” again next year and will include new activities and take-home materials. What I noticed when I reviewed the video is how she stops to reflect after each increment. She moves the bars up, adds one, then sits back to review or reflect on the work. This is one of the beautiful aspects of Montessori - or really, just scientific pedagogy in general - the child doesn't need a teacher to step in and say, "Great! That makes 60!" All she needs is to see how to do the work then be allowed to do it. When she is all finished with the tens, then she looks up at me. My mentor, Don Czerwinskyj, made sure I understood the importance of offering a child a reflection when they were finished with work. He told me to wait for the child to finish and watch her face when she looks up. Is she pleased? surprised? excited? confused? Wait for her to assess her own work before offering any feedback. In this child's case, when she looked up at me and seemed satisfied, I said, "Ok. You did it! You completed the tens. Are you ready to count the hundreds?" She said she was and she continued. A friend of mine told me recently about visiting a preschool where every child's work was praised lavishly. Every painting or block structure was met with, "Oh my! That's the most beautiful picture/castle/birthday cake I've ever seen!!" Montessori educators try to avoid empty praise because it causes children to look outside themselves - rather than inside - for affirmation. Just like adults, kids have opinions about their work and their performance. If a child is happy with her work then we can be happy for her. If she is unsatisfied with her work or feels she doesn't understand it, we can offer empathy, advice, or suggestions - depending on what's needed. When this student was finished with the work, I snapped this photo just as she added the last thousand cube. She was pleased with herself, as the photo shows. Now, because my job is to observe and assess her understanding of the concepts she was learning, I noticed that she had only stacked 8 cubes, instead of 9. This was no time for criticism - look at that beaming face! So I commented on how pleased she was with her work. I asked her if we could count all of those cubes. When she got to 8 thousands she realized that she needed one more. She added one more cube, we counted them again together, and I said, "There are 9 thousands and this says 9000. Is that correct?" She said it was, and together we determined that her work was complete. She then put all of the materials away. Sometimes we think our grown-up words are essential to motivate children to learn and to keep them on track. But most of the time, we could get by with a few words and more time simply observing and offering reflections. Rather than saying, "That's a beautiful painting," we could say, "Wow! You used 5 different colors in this painting. Do you have a favorite?" It requires more work for us to look so carefully before commenting, but it shows the child that we are truly interested in her work. And, we are interested in the process and not just the product. If words fail us, we can always try those three little words everyone loves to hear, "You did it!"